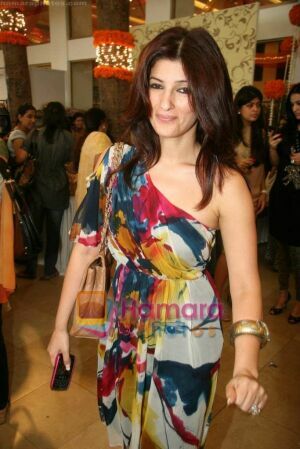 Twinkle Khanna, actor and wife of superstar Akshay Kumar wasn’t quite known for her dress sense in her 20s. She would do with just two pairs of denims and a couple of white shirts and abhorred shopping for dresses. All that changed once she turned 30. She is now counted amongst one of the best dressed women. Twinkle believes accessories can make or break an outfit. “You can have a simple dress but it can look stunning with the right accessory”, she says. On her must-have list for every girl – A hair accessory, sunglasses, statement jewellery, clutch and stilettos. fans love her girl y style and innocent charm. Twinkle designs for Akshay Kumar. Twinkle is my favorite actress, she looks great.